In a large pot over medium-high heat, brown the eggplant and onion in ¼ cup (60 ml) of the oil. Season with salt and pepper. Add the garlic and cook for 1 minute. Set aside in a bowl. 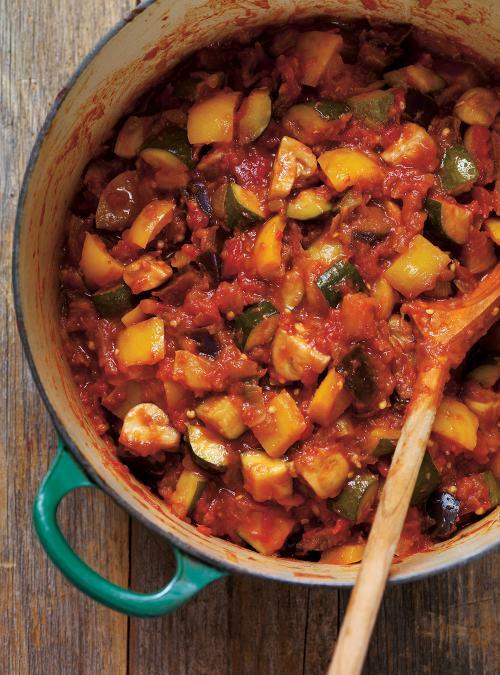 Ratatouille is a basic vegetable dish from the southern region of France, particularly Nice. 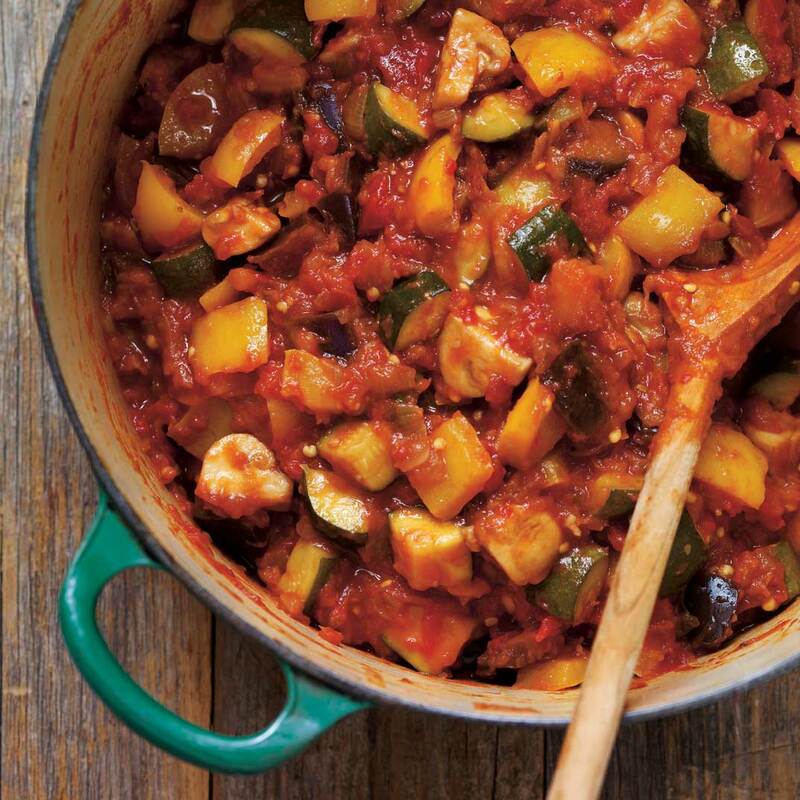 It contains eggplant, tomatoes, zucchini, onions, peppers, and garlic. Each vegetable is first cooked separately and then they come together to a smooth a soft texture. Some elements can vary, including adding vegetables (such as mushrooms here) or various aromatic elements (such as olives). It is delicious on pizza. Used my tomatoes from the garden and fresh chillies also from my garden. Frying each step is a must. Was a hit with hubby! Je reprend goût à la ratatouille!!! Wow! 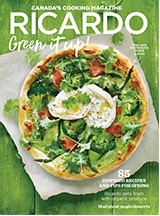 Excellente recette! J'ai adoré! Excellente! Si vous substituez les tomates en dés en conserve pour des tomates régulières, attention au surplus d'eau de végétation.